When the weather turns a little colder I don’t mind standing in the kitchen chopping and stir frying rather than prepping for the grill. Truth be told, I enjoy the methodical prep time after a stressful day at work! 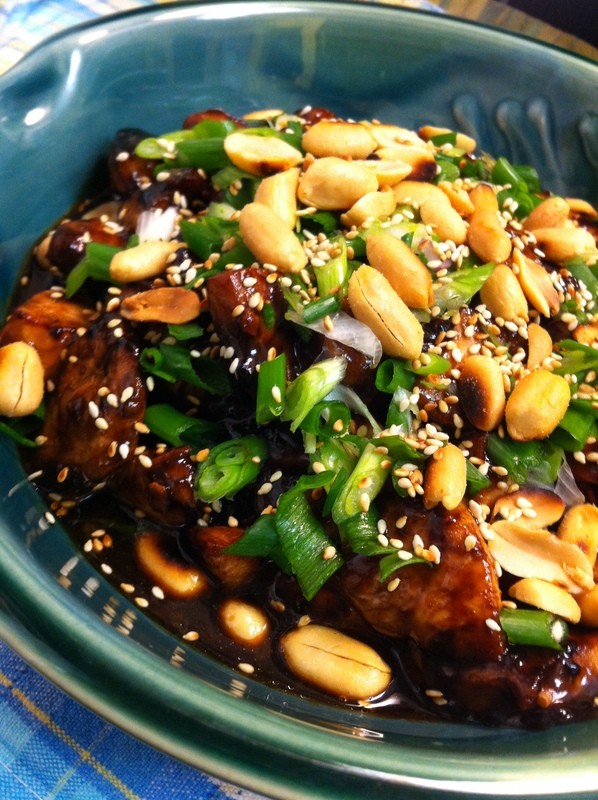 I have tried a number of Kung Pao recipes, and was wanting to have a great one before I added it to my list. Finally found/tweaked the one we like best so here it is – hope you love it as much as we did. Prepare chicken pieces and stir into marinade – allow to rest at least 30 minutes. Mix sauce ingredients in bowl and set aside. Heat wok, add spash of cookng oil and stir fry the chicken until almost done – remove. Wipe out wok, drizzle with a little cooking oil and add ginger, garlic and sauce. When sauce has thickened and become glossy add chicken back in. Stir to coat well and complete cooking. To finish serve tossed with roasted peanuts and sliced scallions. This entry was posted in Asian, Chicken, Chinese, Recipes and tagged Chicken, chinese, Kung Pao chicken, quick dishes, stir fry by Chatty Kathy. Bookmark the permalink.